Skin Peels for Radiant Skin? A chemical solution is applied to the skin that causes it to exfoliate and eventually peel off. The new, regenerated skin is usually smoother and less wrinkled than the old skin. This results in more radiant skin. Acids and enzymes exfoliate away layers of the skin to reveal fresher, younger looking skin. Skin peels remove dead skin cells, reduce pigmentation, blemishes and acne, reduce the appearance of open pores, and smooth the appearance of fine lines and wrinkles. 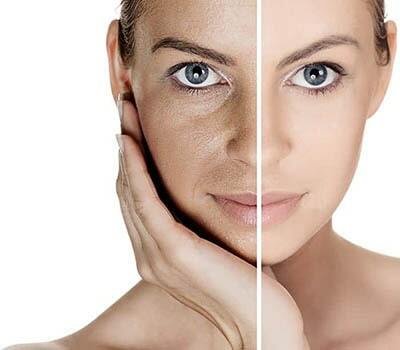 Skin Peels help rejuvenate the skin’s appearance making look smoother and more radiant. The face, neck, chest, back, arms, and legs can be treated and it is sometime a more cost effective alternative to other treatments such as laser rejuvenation or wrinkle injections. A chemical solution is applied to the skin. This solution exfoliates the skin and eventually peel off. This results in removing dead skin cells, reduce pigmentation, blemishes and acne, reduce the appearance of open pores. Whilst a difference can be noticed after a single treatment, it can take up to 6 treatments to restore the skins to the desired results. New skin generally starts to appear 7-10 days after the Peel. 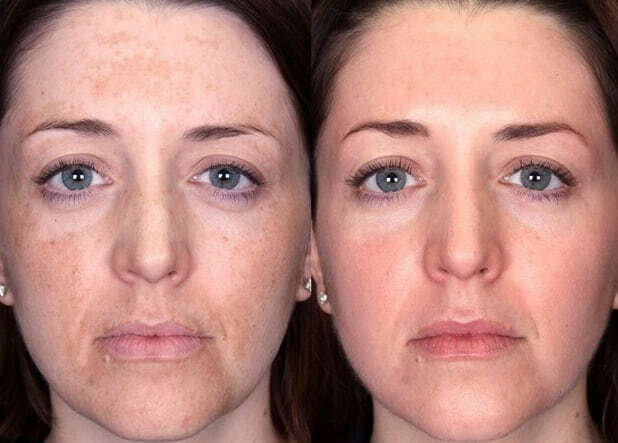 However results are dependant on the type of chemical peel used.